With the new year upon us, staying organized and inspired when your resolutions start to feel more like a hassle than a way to enhance your life can be difficult. With this simple DIY board, your goals and schedule are easily within view, keeping you hopeful and on top of life all year long! Sand down a 10”x12” (or similar size) piece of plywood. You can cut your own, or find a precut piece at your local craft store. Paint one layer of acrylic paint on the front and sides of the board and let dry completely. Once dry, repeat the process with a second layer. To add an extra touch, place strips of painter's tape from one end of the board to the other and press down firmly. Paint a thin layer of an alternate paint color on the board. Carefully peel the tape away and let the paint completely dry. Using regular glue, place glue on the back of a mini clothes pin and press it firmly against the board about 1” from the top and 2” over from the last side. Place glue on two additional clothespins and place the first one adjacent to the first clothespin on the board, 1” down and 2” from the right side. Place the next clothespin 3” down from the second clothespin that was placed and 2” from the right side. Let dry. You can leave the top blank or put the year, like I did. To complete the board, take 4” x 6” index cards and a black or metallic pen and create a small calendar to place on the left side of the board. The clothespins on the right side can hold a variety of things like: A quote or Bible verse you like, a small picture, To Do lists, your goals for the year, etc. Use what works for you! Originally from Washington, DC, Lizzie Lambert now calls the peaceful mountains of North Carolina home. She graduated from Appalachian State University with a BS in Communication Studies and has spent time in biblical and ministry training at Harvest School of Missions in Pemba, Mozambique and BSSM in Redding, California. When she's not nannying for two adorable kids or writing material for a marketing and design agency -- she creates. 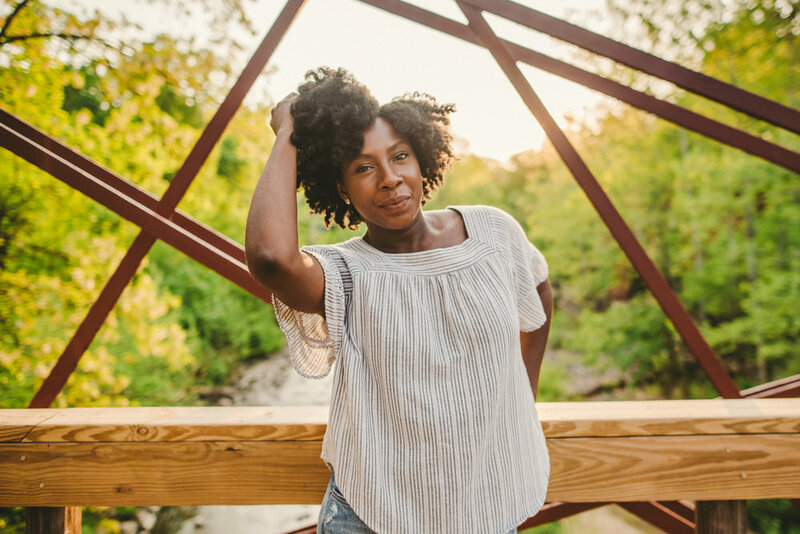 What originally started out as a need for a peaceful place to call her own in the midst of a hard season of life, has turned into a passion that fuels most of her free time -- creating beautiful spaces where people can rest, relax, connect, and reflect.